Blog Quick Quotes: Winner Post and April Club Q with Susie! Winner Post and April Club Q with Susie! Happy Saturday to you! We have our winner to announce from Friday Challenge 73 - Shapes today. within 7 days for your prize! Hello and welcome! 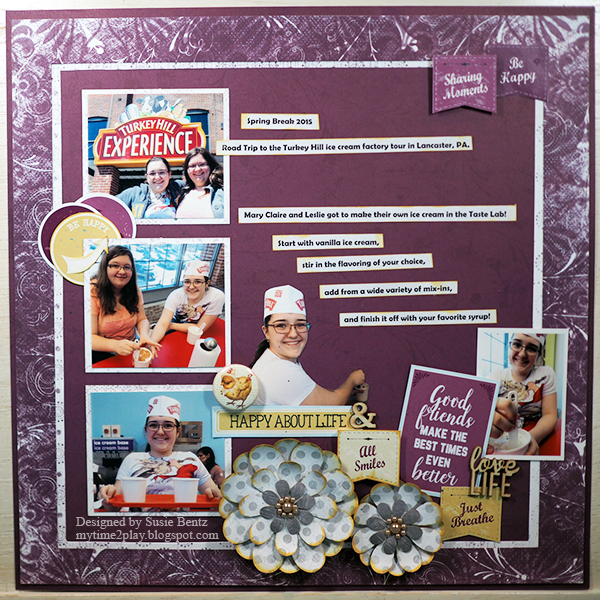 Susie here today sharing my April Club Q Inspiration. As usual, the April Ultimate Combo Club Q Kit is absolutely packed! 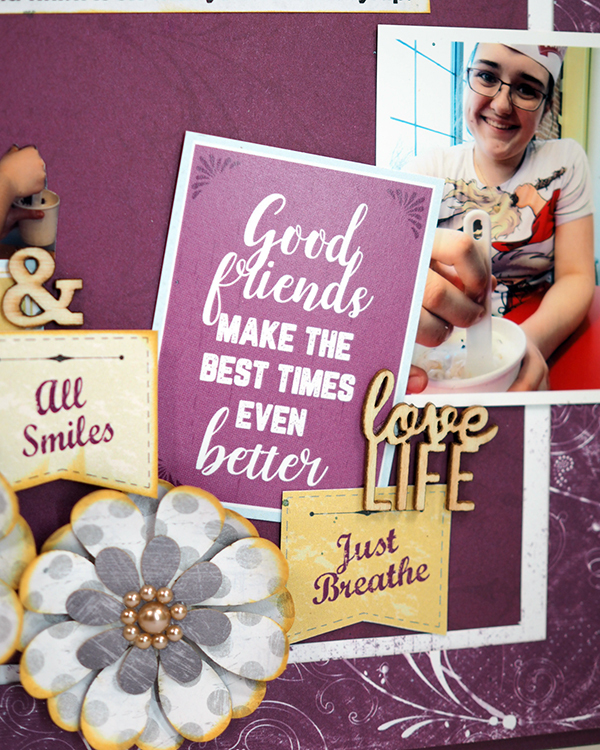 It came with a huge selection of coordinating papers, frames, photo mats, sentiment cut aparts, die cut flowers, pearls and much more. I took the kit apart, sorted out the pieces and then put them together in an all new way that is just my style! 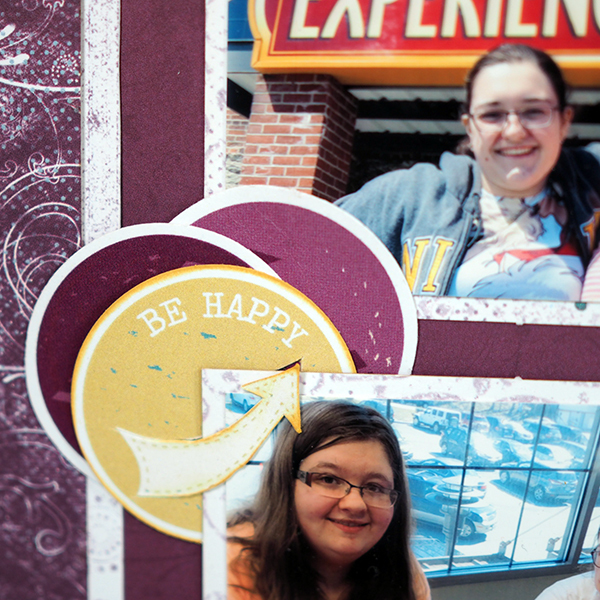 Take a look at this fun layout I created with pictures from my daughter's trip to an ice cream factory. 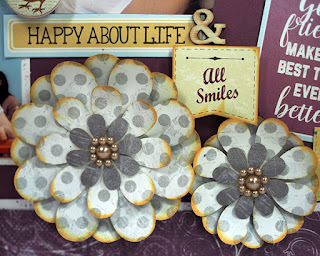 The kit came with the dark purple print frame that you can see around the edge of the layout. I cut another frame from lighter color paper to create the inner edge then laid down 3 photo mats along the left side of the page. 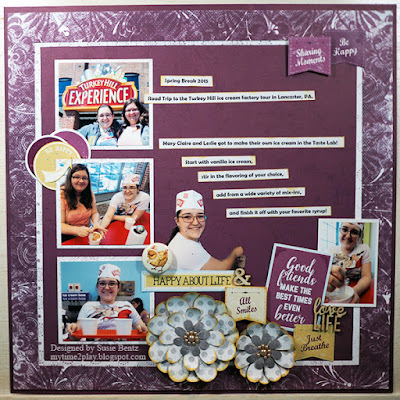 That left a lot of open space which I filled with strip journaling and a trimmed out photo of my daughter - such a cutie! This month's challenge is Flowers and I just had to play along! I started by inking the edges of the petals with Buttercup PowderPuff Chalking Ink and then used a pencil to curl the tips up. 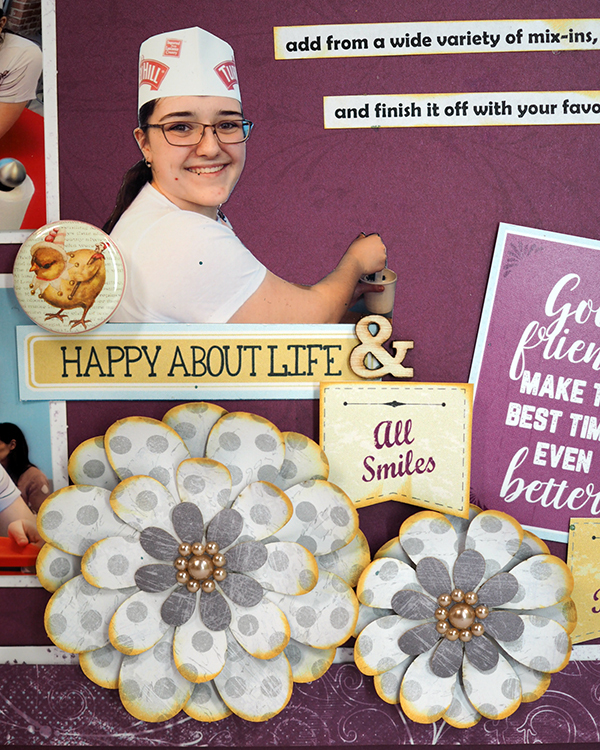 I trimmed out some banners and sentiment cards and incorporated them into the embellishment cluster at the bottom of the page - and I threw in another picture of my baby girl! I used a craft knife to trim out the arrow on this circle and slipped it over the corner of the photo. More banners up in the corner are the perfect finishing touch! The April Club Q has wonderful projects that are already designed for you to put together, but you can also choose to use those fabulous elements to create something totally unique! If you are interested in joining in on our monthly challenge (Flowers), you have until April 25th to enter - and remember that there is a yummy prize to be won! You can find all the details here. Thanks so much for choosing my layout!